When I learned that Isko Moreno has a twitter account, I followed him. I was delighted when he sent me a message thanking me for following him. I am not a resident of Manila. The only time I was regularly been going to Manila was when I was studying Accountancy at the University of Santo Tomas. But I love Manila because I see it as a representation of the Philippines. I've been dreaming of it to be a place as clean as my hometown Marikina and as progressive as Makati. And I believe it will happen soon. 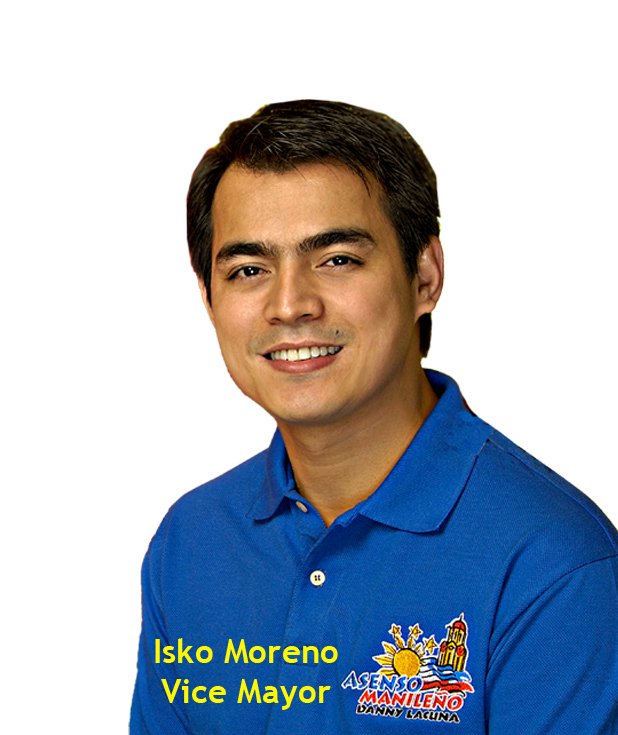 The life story of Isko Moreno is an inspiring one. He is a living proof that poverty is not a hindrance to success. I admire how he got to where he is now. From a 10 year old child trying to help his parents earn a living by pushing cart and collecting old newspapers and used bottles, he is now the Vice Mayor of Manila. It is also worth mentioning that he was former three-term councilor of the city. I've been reading his tweets, mostly about his daily activities as Vice Mayor, projects for the City and sometimes inspiring quotes. I am sometimes amazed by how hardworking a public servant he is. He makes me believe that my dream for Manila will come true. Last month, I started a campaign to help Bien Louis raise funds for a liver transplant. This baby is the first born of my goddaughter. I've been taking advantage of the social networks to spread the story and get help with the fundraising. Recently, we launched a T-shirt campaign. 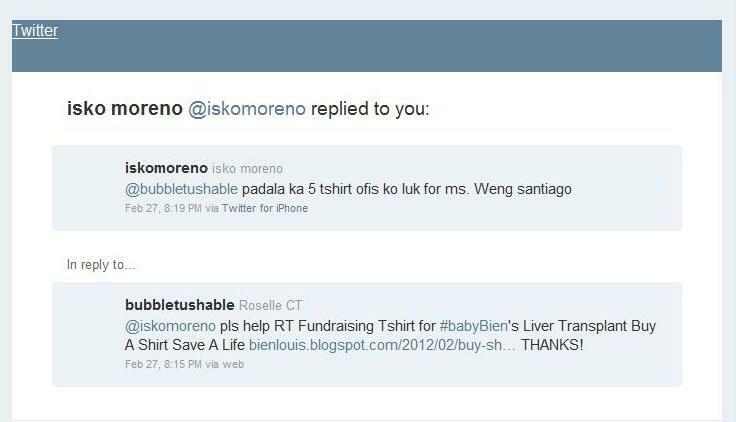 I did not think twice asking help from Vice Mayor Isko Moreno to retweet to his followers the campaign. This came as a surprise. He did not just retweet the message, he ordered 5 shirts (and the big help after the 5 shirts). He didn't even ask if I'm from Manila. People like him keeps my hope alive. That I'll be able to raise the funds needed by Bien Louis. In behalf of Bien's family, our heartfelt gratitude Vice Mayor Isko!